The phrase oral-systemic health refers to the connection between oral health and whole-body, or systemic, health. Ongoing Research shows a growing number of links directly interweaving oral health and overall health. Everything part of your mouth has direct access to the inside of your body, so it’s easy to see how the connection makes perfect sense. Your mouth is a portal to your body’s internal workings. We know that inflammation from the mouth can be a contributing factor to events of heart attack, stroke and difficulty controlling diabetes. It is vitally important these factors be eliminated especially for those at risk for these problems. 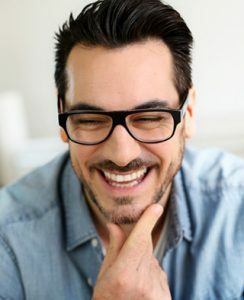 Dr. Erpenbach, Knoxville dentist, is proud to be a founding member of the American Academy for Oral Systemic Health, an organization that brings an array of doctors from many fields, including dentistry, together in an effort to educate the public and study the connection between oral and overall health. Gum disease affects up to 80% of Americans, and it increases the risk for heart attack, stroke, diabetes complications, low-weight births, Alzheimer’s disease, dementia, and may also influence the development of certain cancers. Streptococcus mutans, the bacteria that cause tooth decay and contribute to gum disease, can enter an abrasion in the mouth and get into the bloodstream. If the immune system does not defeat the bacteria, it can travel to the heart within a matter of seconds. There, the bacteria attach to the lining of heart valves and cause inflammation. This condition, known as endocarditis, is potentially fatal. In Knoxville, Dr. Erpenbach is a leader in dentistry in the focus on oral systemic health. If you are interested in the most comprehensive health approach to your dentistry, please contact us today at 865-584-8630 to schedule an appointment.